"Make $45,000 a month working in your pajamas!" What could possibly be better than becoming financially successful while lazing around in your own home - sleeping late and not even getting dressed if you don’t feel like it? But, as I’m sure you already know, that’s exactly what it is: a dream. Real success as a home-based business owner requires a lot of time, effort, strategic planning and execution. No matter what you happen to wear at any given moment, you’re certainly not going to be “lazing around” - not if you want to succeed. In fact, entrepreneurs who have successfully started home-based businesses that become full-time incomes will inevitably tell you that they managed to accomplish that by treating it professionally - just like any other business - which includes getting out there and hustling when necessary to build the business and accomplish strategic goals. While technology has changed dramatically in recent years and there are countless ways to digitally locate and share contact information with prospects and clients, the lowly paper business card hasn’t yet been relegated to a display case at the Smithsonian. It’s still very much alive and well, in fact. Moo.com is just one of many examples of a company that offers business cards along with other traditional branding stationary and equipment and has managed to grow and expand even as the mobile and digital revolutions have seemingly attacked paper from every angle. There’s a reason for this counterintuitive fact: the physical business card still holds a place of respect and value in the minds of professionals worldwide . Of course, you can probably get away without business cards these days, especially if you’re really tech savvy and so are your prospects and customers. And, it’s likely you need less of them than you used to back in the day when all business professionals owned and loved their Rolodex. But just the simple act of handing someone a business card while introducing yourself and/or sharing what you do can add legitimacy and make a deeper impact on that individual than you can achieve without leaving a tangible reminder with them. If your card itself is of high quality and well designed, it can have a lasting impact when you’re prepared to follow up on every networking opportunity you make. Lesson #1 for the home-based business owner who’s going to grow their business by stepping outside: don’t forget your business cards . For many of us, online networking opportunities like LinkedIn have largely replaced attending in-person events in our busy schedules. While the benefit of social networking in modern business can’t be overstated, this sacrifice has been a heavy one for many professionals, including new business owners. 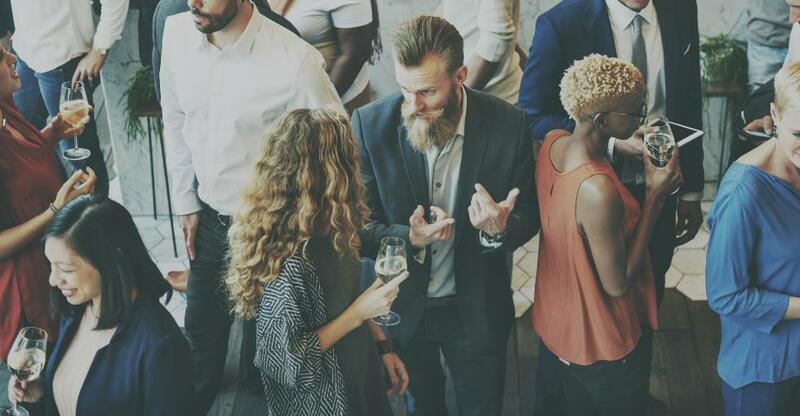 By focusing most or all of their networking time on building their digital networks, many up-and-coming professionals and business owners have lost the valuable impact that face-to-face interaction can have on people’s memories and decision-making. But does meeting with prospects and customers face-to-face actually outperform email, social networking, or phone calls? So does that mean you should locate and attend every in-person networking event or meet-and-greet luncheon you can find within a 50-mile radius? Not at all. Being selective and strategic is the key to success when it comes to getting the most out of networking opportunities. Take some time to learn what your local business community as to offer, and what events may be organized around your industry niche as well - even if some travel may be involved. Start small and try different events out. If you find it valuable, consider making it a regular part of your schedule. If you don’t, move on to another more valuable opportunity. As opposed to trying to be everything to everyone, the best strategy is usually to pick no more than three events or groups that you’ve found to be highly beneficial for your business and then focus on becoming a consistent, highly visible and valued member of those communities. Volunteer to speak at their events, sit on their boards, or help out with organizing the events. Become a go-to resource attendees can rely on. That’s where the true value of in-person networking starts to shine. There’s no doubt that, with the technology easily available to everyone today, it’s possible to find, service, and fully satisfy clients of most home-based businesses completely over the phone and the internet. Similarly, remote teams - whether technically employees of the same company or temporary teams of freelancers collaborating on a project - can accomplish nearly anything without ever officially meeting each other. The fact is that something is possible doesn’t necessarily make it right. Massari advised, “The money spent in getting a remote team together (initially and at regular intervals) will be paid back over and over again in terms of increased productivity.” The same boosts in productivity and collaborative ability can be even more impactful when it comes to clients since the trust factor is even more important in that relationship. While it shouldn’t be necessary - even with clients who are local and easily accessed - to meet face-to-face every time, making the effort and investing the cost of meeting at least once - and preferably on at least an annual basis - can provide massive returns in customer satisfaction, lower churn rates, and valuable referrals. If you’re currently running or considering buying a home-based business and any of the above sounds foreign or scary to you, it’s time to step back and remember that business is never really accomplished on a B2C or B2B level, but is really handled P2P: person to person. Including a healthy dose of face-to-face communication - even if it requires leaving the comforts of your home office - can be a life-changing investment for home business owners. We spoke with father and son partnership, Bradley Building Services, about running their own business.